Why prepare for IPv6 now? If your business hasn't begun moving to the new Internet protocol, then you're already too late, according to expert Scott Hogg. Learn why enterprises should prepare for IPv6 now. Why prepare for IPv6 now? 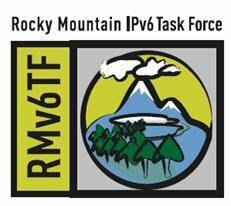 Because for many companies, if you haven't done the very least you should do (like start an IPv6 migration strategy), you're already too late; your business is behind the curve, according to Rocky Mountain IPv6 Summit chairman Scott Hogg. SearchEnterpriseWAN.com asked Hogg why enterprises of all sizes should be concerned about the IANA depletion of addresses, what IPv4 address exhaustion means for your network and what will happen to the v4 Internet when addresses are completely gone. Get the answers in this Q&A. Why are enterprises concerned with IPv6 in 2011? Scott Hogg: Feb. 3, 2011, marked the depletion of [IPv4 addresses from] the global pools for all of the Regional Internet Registries (RIRs). Based on the rate of allocation of address space in their geographies, the RIRs will run out of IPv4 address space this year . That's driving IPv6 [migration]. It's finally catching hold, because people realize that they can't continue to do business on IPv4 for the foreseeable future. How has the recent IANA's IPv4 depletion affected how businesses will prepare for IPv6 now? Hogg: I think before, people always thought there was always a well that registries could go back to get more address space; [IP address] scarcity wasn't ever a concern. Now, the well where all of the registries draw from is dry, so the registries only have as many [IPv4 addresses] as they're ever going to get. The registries are also allocating address space to enterprises and service providers in their geographies at a fast rate. Even maybe slightly faster than what they had been allocating in the previous five years, because there's this concept of what people call a 'run on the bank,' which is when people think that there is scarcity of something and they go to the store and try to buy all that they can. Scarcity drives purchasing behavior, and the same thing goes for [purchasing] IP addresses. I think IPv4 address scarcity is causing people to really consider where they're going with IPv6 … [since IPv6] is the only option that companies have. They think that maybe they've waited too long [to do a IPv6 transition], either because of slowness in the economy, or the fact that they feel like they have enough IPv4 addresses, or the fact that they thought they could always get more v4 addresses if they had to. Now they're realizing that that may not be a possibility for them. So the only alternative they have is to look towards IPv6, and they're kind of doing this a little late in the game. So enterprises that are just beginning to think about IPv6 right now are coming too late to the game already? Hogg: They are. They could suffer some issues because they've waited until this point to make the move. What issues or risks are companies running by not connecting their business network to IPv6? Why prepare for IPv6 now? Hogg: The risk would be not being able to communicate with your customers when IPv4 addresses run out. If, [for example], you're Amazon.com and you don't have an IPv6 webpage, but Barnes and Noble does, your customer can't even get to Amazon.com, but they can access BarnesandNoble.com and [will therefore] buy books from them. The other thing is, if you don't have an IPv6-capable website, people can't get to your website to see what time you're open to even call you. So even if you have a business like Susie-Q Cake Baking Company, you wouldn't think that she needs IPv6 because she's not selling anything on the Internet, but that website is her calling card; it's how she finds business—how customers find her. They would run a search engine query for 'cakes' in a particular city [and] up will pop 'Susie-Q Cake Baking Company.' But if they can't get to her website because it's IPv4-only, they can't even find out what time she's open to even call her to place an order for a cake. So IPv6 matters to really any company that does any business on the Internet or has any kind of Web presence on the Internet or gets people directed to their business through the Internet. Even little tiny companies have little tiny webpages, but they won't get [business from] v6 customers, not if they're not v6-reachable. When will businesses feel the effects of being only IPv4 enabled? Hogg: That's probably two years away from now I would say, because of the timing of IPv4 address depletion. APNIC will run out of v4 addresses this year for sure; ARIN and RIPE will likely run out of v4 addresses by the end of this year or maybe early next year. Then the only thing they will have to give will be IPv6 addresses. Does it cost anything for enterprises to get IPv6 now? Hogg: [Companies] can get them at their registries through a process of making an application. You lease IPv6 addresses, or you pay for the right to use IPv6 addresses, just as you pay for a right to use IPv4 addresses. You get far more IPv6 addresses for a dollar than you get IPv4 addresses for a dollar from a registry. So the price is very economical to get IPv6 addresses. How much will IPv4 addresses cost? Hogg: We saw Nortel in bankruptcy liquidations sell a large block of IPv4 addresses to Microsoft.com. Microsoft.com paid 7.5 million for 600,000 some odd IPv4 addresses. You'll see big companies transferring large chunks of addresses—they'll follow the ARIN transfer policy to transfer addresses between companies—and the price will go up. Some people predict it will be $100.00 per IP address or more. What will happen on the IPv4 Internet when addresses are completely gone? Hogg: Initially, the driver for IPv6 [adoption] was address space, but things will start to degrade for IPv4 over time. Users will be forced to go through large-scale NAT appliances, which will degrade their performance on the IPv4-Internet. Multiple layers of NAT for enterprises will cause more complexity and degrading of performance. We're predicting a big spike in v4 routes, which will mean that maybe some [Internet service] providers won't be able to carry the full routing table anymore. That can be a problem—if suddenly in v4 you can't get certain places because your service provider can't hold the full v4 routing table. So your performance with the v4 Internet might degrade over the next 10 years, I'm saying. IPv6 will become more attractive in the next 10 years as IPv4 really becomes tough to deal with. Network engineers could spend a significant amount of their time playing a shell game inside of their companies' [networks] by taking any public IPv4 address they have and moving it around to applications that need it and then re-addressing it more in the private addressing space. Do enterprises need to make any internal network or platform upgrades before migrating to IPv6? Hogg: The OS that you use will affect your ability to leverage features of IPv6. A lot of enterprises have remained on Windows XP; they haven't moved to Vista and are dragging their feet to move to Windows 7. [But] Windows XP has just an optional IPv6 stack that's not as optimized as Windows Vista, Windows 7 and Server 2008. Windows XP systems don't have a DHCPv6 client built into them. Windows XP can't do DNS lookups over IPv6. It's really not an optimal operating system to deploy in an IPv6 production environment. Much of the network equipment businesses will be ready for [an] IPv6 [migration]. Many of the enterprise-scale and larger-scale firewalls and DNS systems have IPv6 capability in them, but [not for] the desktop operating systems or servers where they're still using Server 2003 and haven't migrated to Windows Server 2008. Companies who have moved to Windows 7, Server 2008 and Linux systems are going to find it easier to migrate to IPv6… [because those] operating systems have solid IPv6 capabilities. Continue reading this Q&A for more IPv6 learning, or view these 5 steps for overcoming IPv6 planning pitfalls. See more 2011 IPv6 Summit coverage on our conference page or learn how to move to IPv6 from ARIN president and CEO John Curran.